Shaina is a change agent in the sustainability industry. Combining creative initiative with strong business skills, Shaina brings ideas, stakeholders and programs together to advance sustainability in the built environment and generate real results. 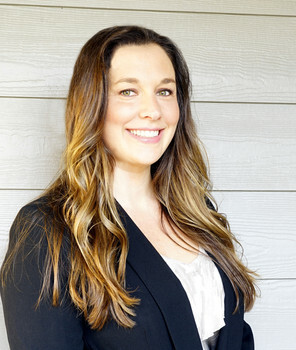 She’s been a proven resource to commercial and residential building professionals, including six years providing industry-specific education at the Home Builders Association of Metro Portland, Ore. In the past decade, she’s offered guidance to regional steering committees, earned a national association award and developed a national award-winning conference. Her passion is making high-quality education programs relevant and accessible to all with an emphasis on climate-responsive design, building durability and spaces that improve occupant health. Drawing upon her longtime association leadership, ability to foster relationships and her skillful navigation of policies and programs, Shaina’s admired for her ability to break down green building barriers. At Green Building Initiative, Shaina designs, leads and manages the company’s marketing, public and media relations, trade shows, membership support, social media and advertising. She holds Bachelor’s degrees in international studies and journalism from the University of Oregon.